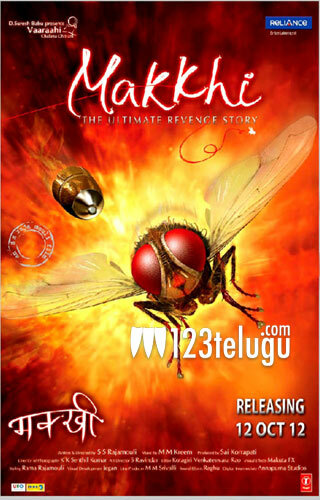 The satellite rights of ‘Makkhi’, the Hindi version of ‘Eega’, fetched a cool price of about Rs 8 Crores!This is a bumper amount for a dubbed Telugu film in Bollywood and shows what kind of craze the movie generated in those circles. Ace director S.S.Rajamouli’s graphics extravaganza gained rave reviews and superb Box Office collections in all areas of release. The film had Nani and Samantha in lead roles with the crucial negative role played by Sudeep. Keeravani scored the music. In these times when Telugu films and scripts are gaining attention in Bollywood, Eega’s good reception will only increase the market and exposure for our films across the country.